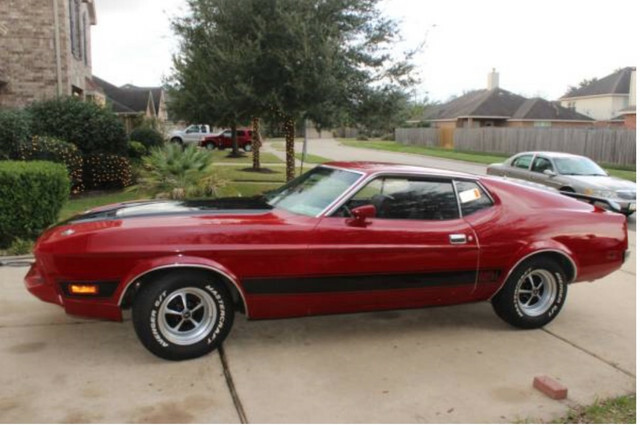 So I have been looking for a 71-73 Mach 1 for a few years. I only wanted a 4 speed, could not be rusted/rotted, and needed to be the right price. I passed on many, many automatics, but finally found a car that met the requirements. I noticed that the speedo was in kmh when I test drove it, and I knew it had spent time in Mexico, but did not give that much thought. 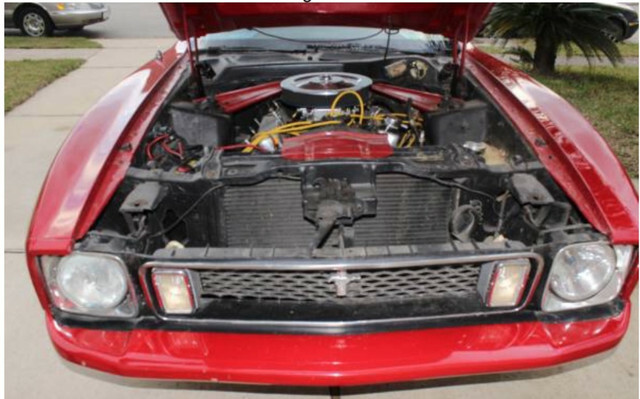 The seller advertised it as a Sportsroof because it didn't have the right VIN code for an American Mach 1. 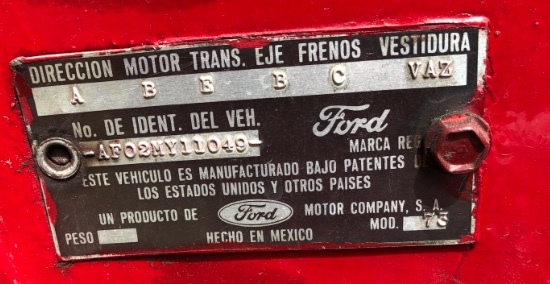 Then I looked at the build plate which is all in Spanish. 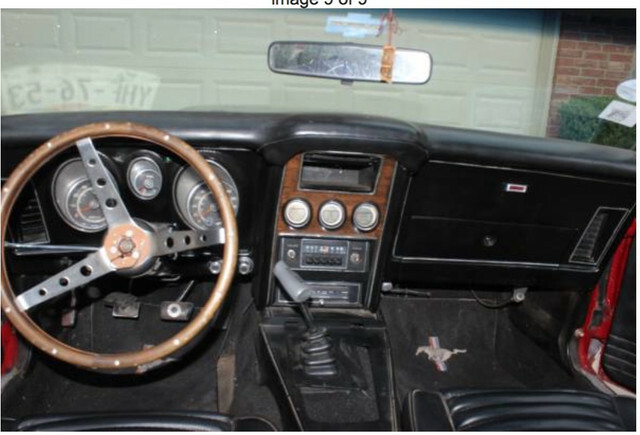 The car has a Hurst shifter, and the wood pony plaques on the door cards. so after all of that, verification, to the best of my knowledge it is indeed a Mexican Mach 1. If I am missing something obvious here, please let me know. I don't have more pics with me this week, but I am posting a few. It will have a windsor 351 not cleveland if mexican and also a dana type rear without the removable center section. 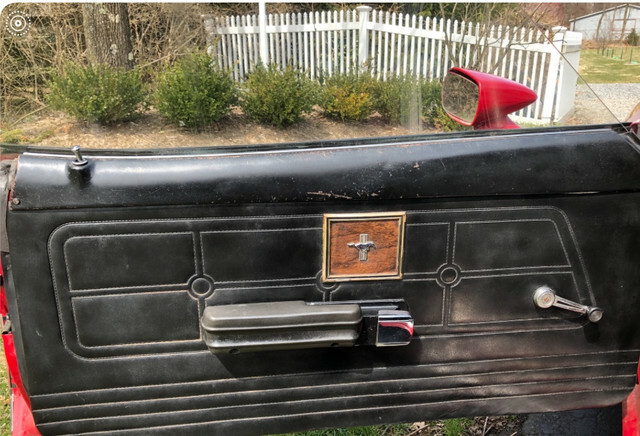 Most of the Mexican I have seen had a fancier door panel. There is a facebook page for the Mexican Mustangs. It could still be a Mexican Mach1 even if the details aren't right. God knows how many US Mustangs, Mach1's or not, still have all their original parts. now the fun begins. car is running rough. starts right up and drives nicely, but farts and possibly backfiring when I am not on the throttle. after engine gets to temp, stalls when I am off the throttle. gonna check the basics starting with the fuel tank. the car was stored for a long time with very little gas. is suspect the fuel pickup may be clogged. the fact that the car stalls only after being warm is a clue. could be vapor lock, coil, or voltage issue at the coil, intake leak, or other vacuum issue.